I’ve taught thousands of design professionals and colour enthusiasts my proprietary system of UNDERSTANDING UNDERTONES.. This is not an abstract theory or a rigid formula, it is a proven system that anyone can learn and use in any design scenario. You can think of it as the periodic table for neutrals: it gives you a clear sense of how to organize colours into useful categories to predict how they will behave in any space. 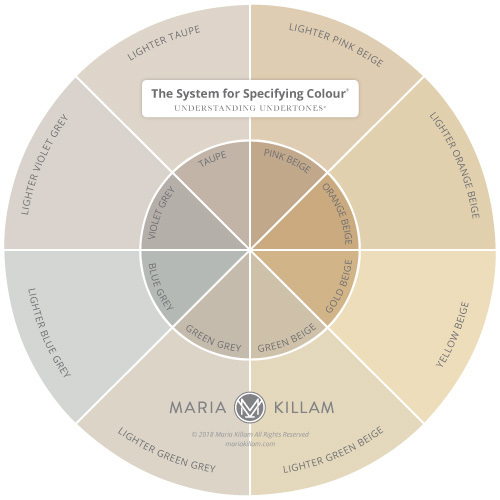 Become a Maria Killam Certified True Colour Expert and transform the way you see colour forever! White is Complicated and more ..